The Warehouse Club Coffin Case Cooler Bag Dispenser is placed horizontally atop Coffin Case Cooler Medians for ease of use and access. And true to form the bags are Warehouse Club generously sized. 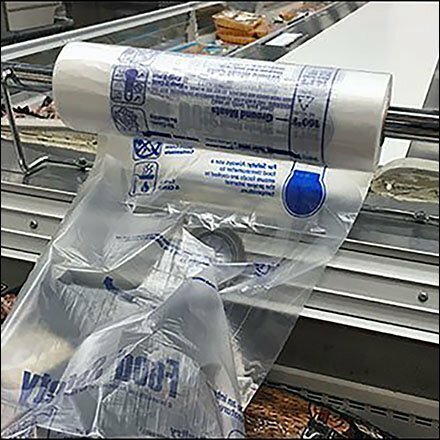 See the thumbnail for a look at an empty dispenser, these bags are obviously popular and were available throughout the refrigerated department. This Coffin Case Cooler Bag Dispenser seen at Costco.